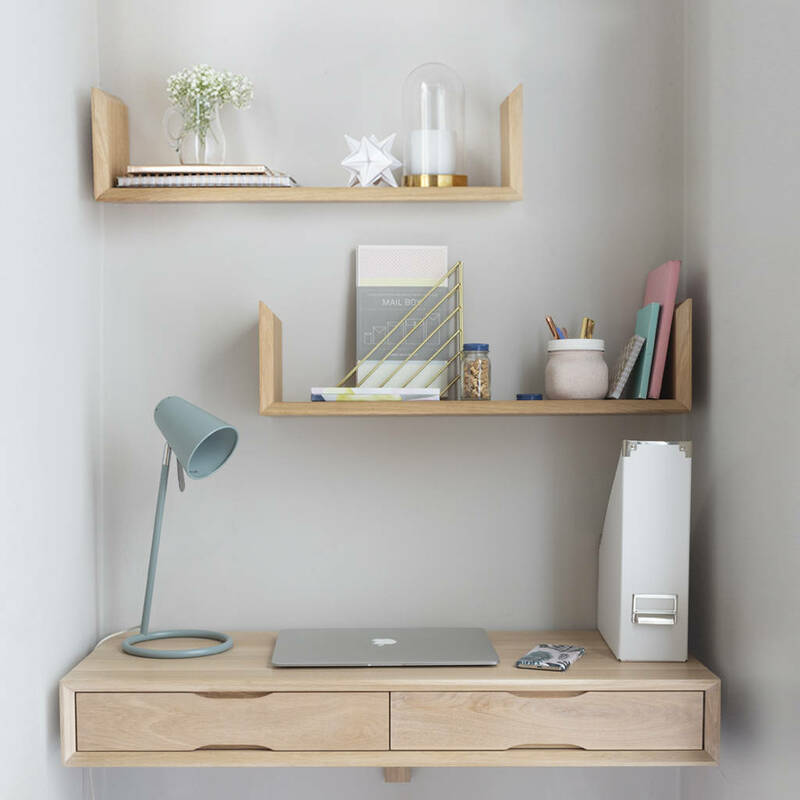 Our U shelves are the perfect addition to our floating oak desk or blogger desk to store and display all your stationary items to keep that desk space clear for getting creative. 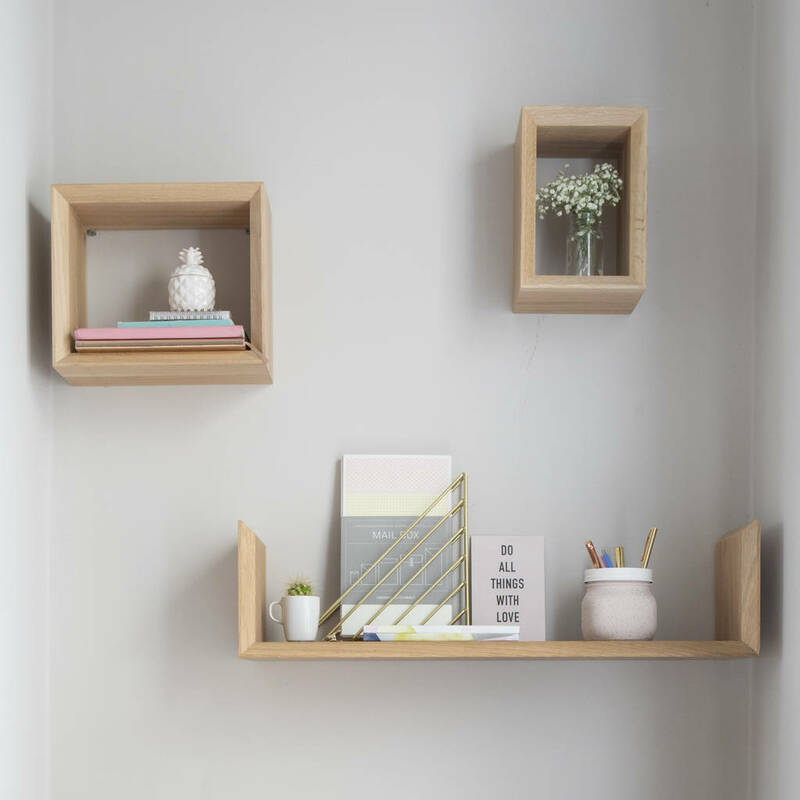 Like all of our furniture items, we have maximised the practical value by making sure there is plenty of space for storage but is also visually attractive. 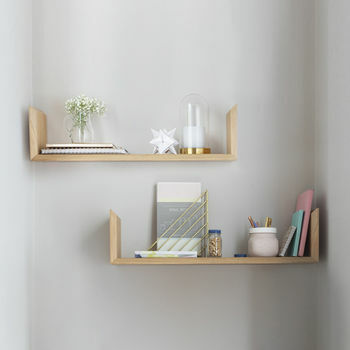 The shelves can be used alone or mixed and matched with our box shelves. 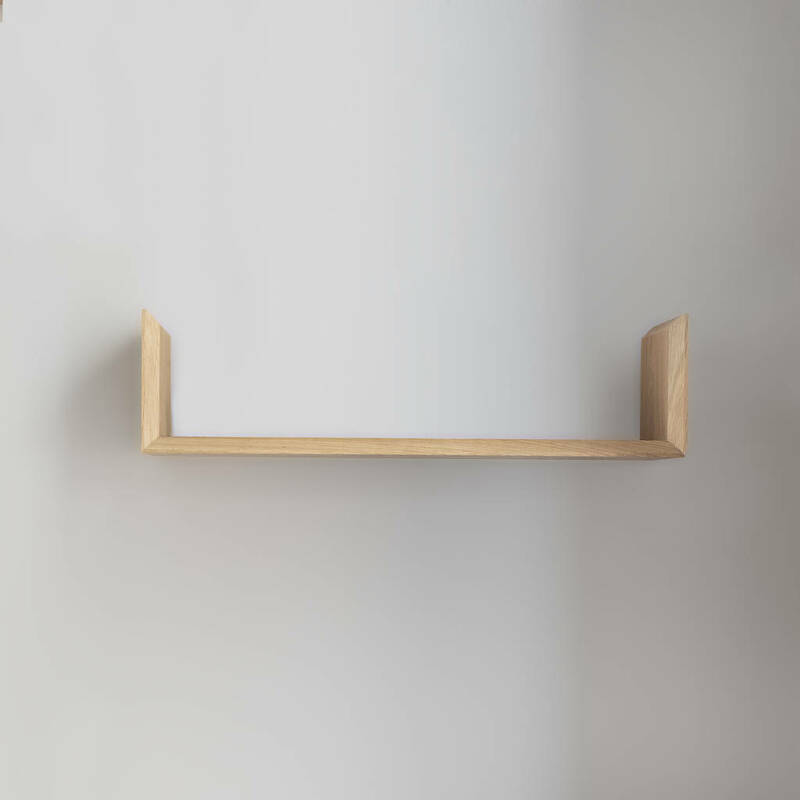 Fitting the shelves to your wall is super simple and we supply the instructions and fittings are provided. Made from 100% solid oak and finished in a matt oil. 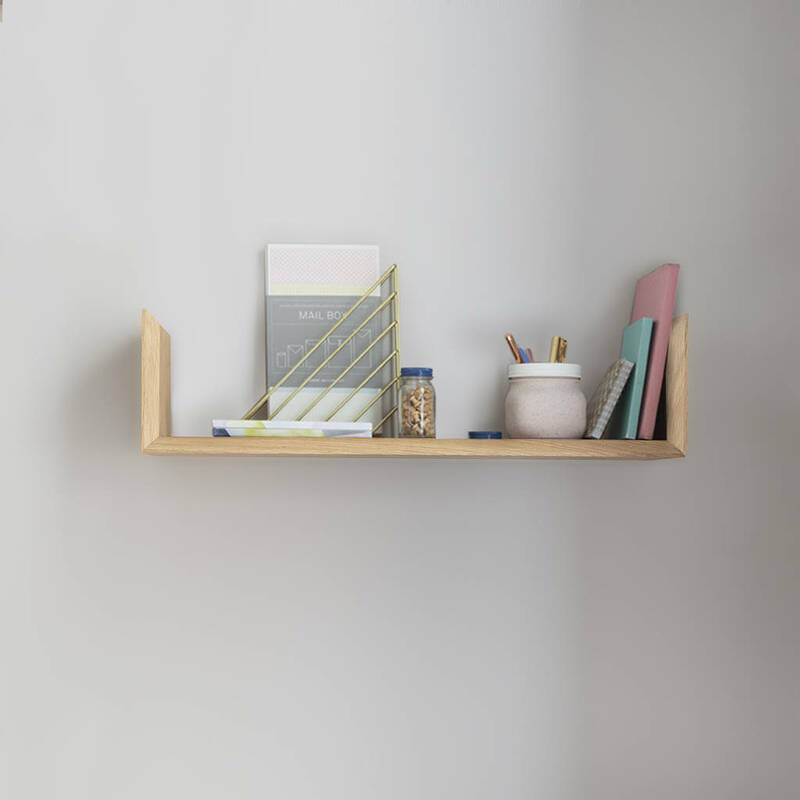 Please note, the price is per individual shelf. This product is dispatched to you by Urbansize.